Once in a while, I have an opportunity to share something with you that is not food-related. When I was approached to help spread the word about a new film called The Letters, I was more than happy to do so. As somebody who loves history and inspiring biographical stories, this is right up my alley. This film follows the life story of Mother Teresa of Calcutta by sharing nearly 50 years of her correspondence, recounting her challenging and inspiring spiritual journey. If you’re not familiar with Mother Teresa’s humanitarian efforts, I highly recommend seeing this film. At a time when the movie theaters are filled with violent films and effects-laden eye candy, this heartfelt story about one of history’s most impressive women is a welcome change. To see the full length trailer, click here. 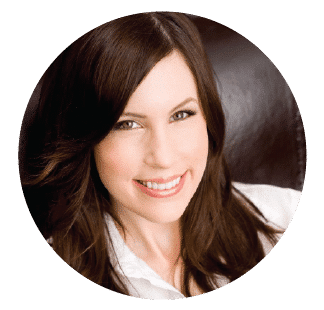 We are all accountable for our own actions, particularly when it comes to the example we give our children. Tolerance begins at home. If we teach our children the importance of love and acceptance, each generation will grow up better than the one before. 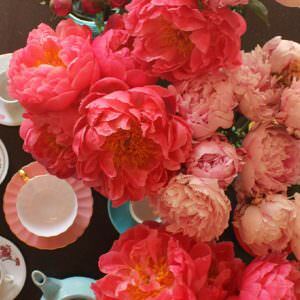 Small acts of kindness can lead to major change. Most of us can’t imagine sacrificing our lives in service to the poor, as Mother Teresa did. However, we can all make small changes rooted in love and sacrifice that will help to improve our world. 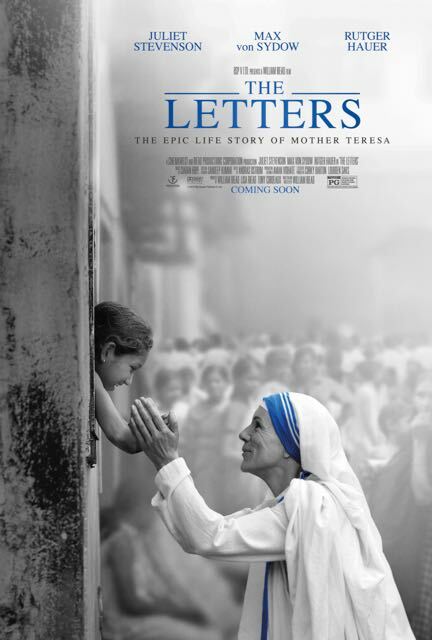 I would highly recommend seeing this film with your family, as Mother Teresa’s lessons of selflessness and giving are invaluable, particularly for young ones. There couldn’t be a better time for a powerful film like The Letters to be released. With so much horrific violence going on in the world, it’s important to remember someone like Mother Teresa, who lived a life of faith and perseverance, selflessly dedicating herself to those who were less fortunate. 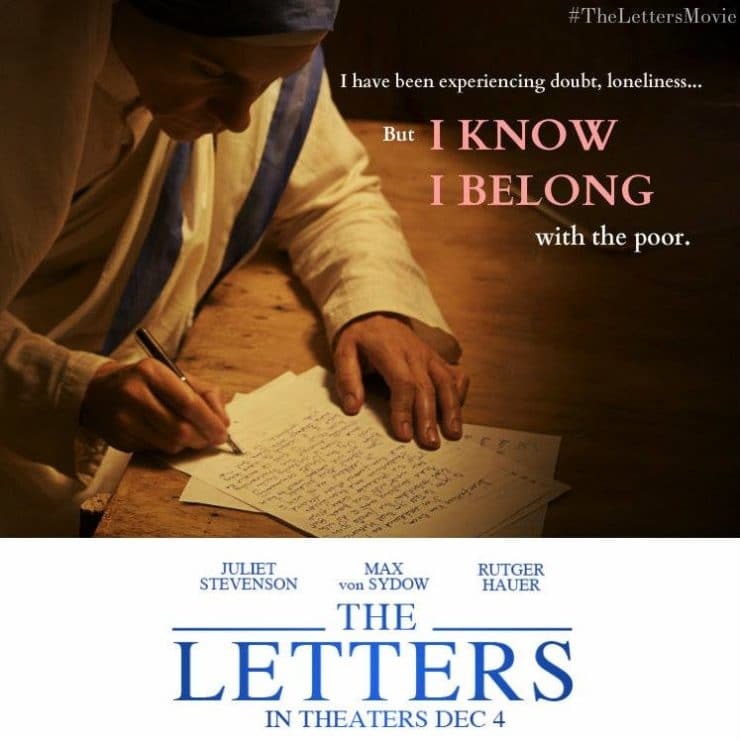 The Letters debuted on December 4, 2015 and is showing in theaters this weekend. For more information, visit The Letters on Facebook and Twitter. I would also like to encourage all of you to share your favorite quote from Mother Teresa by using #TheLettersMovie and @TheLettersMovie so that we can all find inspiration in her beautiful words.